Hi everyone!! My name is Hannah Staley and I am an intern here at Carolina Energy Conservation. Brian Hungerford and I are a part of the United Nations Youth Corp with an established group in Georgetown County, called Georgetown RISE. This is an internship that allows students from Coastal Carolina University to work for local businesses ranging from Little River, SC to Georgetown, SC. For example, Brian and I are working for Carolina Energy Conservation in Myrtle Beach, SC. Throughout the internship, we are researching and building a report that shines light onto how businesses on the coastal side of South Carolina are meeting the 17 United Nations Sustainable Development Goals and how it can be related to the city of Georgetown. 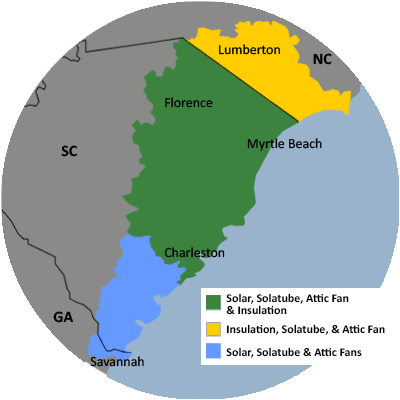 Carolina Energy Conservation wants people to have clean energy that can replace non-renewables like coal, oil, natural gas, and nuclear power. This being said, the main goals that I have focused on this summer are goals 7 (affordable and clean energy), 11 (sustainable cities and communities), and 11 (climate action). During my time here, I have worked on social media posts, blogs, and video testimonials. Most importantly though, throughout this internship, I have researched how Energy Policy has affected businesses like Carolina Energy Conservation. It is very important to stay up to date on energy policy. To learn a little bit about what has happened in the past few months, check out our blog page! Click here to learn more about the Sustainable Development Goals!